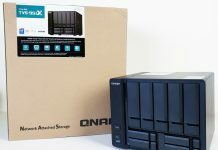 At Computex 2018, Aquantia and QNAP announced a partnership bringing 10GbE and multi-gigabit networking to QNAP NAS products. 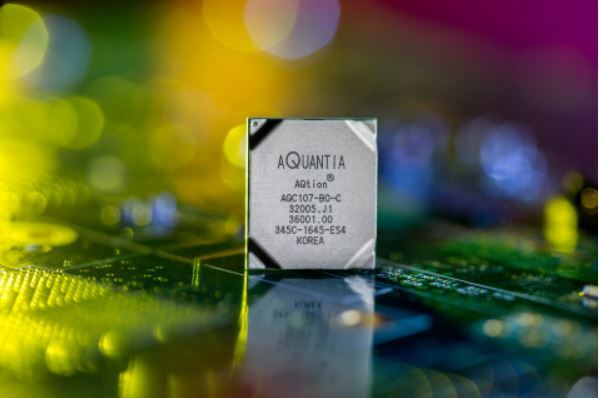 Aquantia has a leading multi-gigabit network controller that allows companies to add 1/2.5/5/10GbE to their products at a relatively competitive cost. A key trend STH identified is the transition of the SOHO and SMB sectors to 10 gigabit and multi-gigabit networking. Although key applications such as streaming video work well on 1GbE speeds, the technology exists to support fast transfers to multiple clients simultaneously. As a result, STH has been advocating 10GbE for even desktop NAS units and this announcement is an example of where we are seeing the market push new technology. QNAP is a NAS vendor that seized the opportunity to bring multi-gigabit and 10GbE solutions to the market early on. The QNAP TS-963X features a built-in 10Gbase-T port that supports 10GbE and is also backward compatible with all Ethernet speeds. 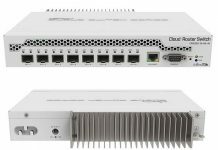 The QNAP TS-963X utilizes the Aquantia AQtion AQC107 Ethernet controller to enable faster networking. It also features an AMD Embedded G-Series GX-420MC quad-core 2.0 GHz processor and nine drive bays including 4x 2.5-inch drive bays can be used to install SSDs for primary storage or caching. At the show, STH is seeing a number of devices supporting Aquantia technology. As part of bringing multi-gigabit designs to market, the ecosystem needs enablement in terms of switches, endpoints access points and other devices. If you deploy a 10GbE or multi-gigabit NAS, you want your endpoints and switches to support the speeds. William has been seeing more workstation motherboards bundled with Aquantia controllers such as in our ASUS ROG Zenith Extreme Premium AMD X399 Workstation Motherboard Review. Our editor-in-chief Patrick is seeing Aquantia technology being integrated into solutions for enabling the broader ecosystem. 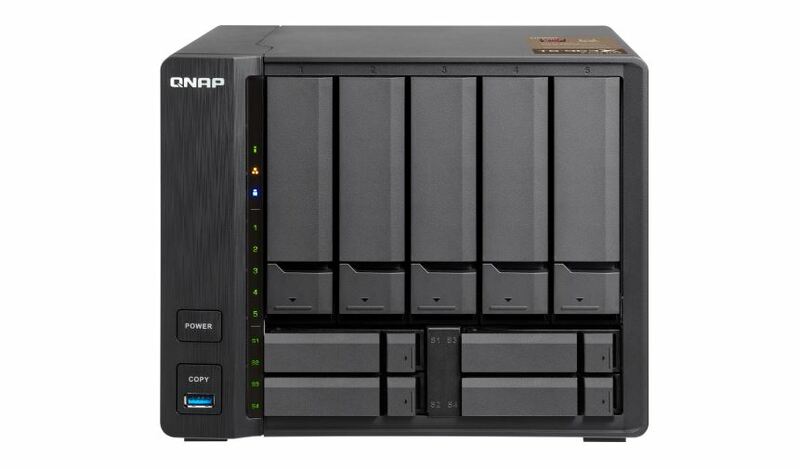 New 10G NAS solutions from QNAP and Buffalo for lightning-fast data transfers. New Multi-Gig switch designs including the Trendnet 8-Port 10G EdgeSmart. New Aquantia AQtion USB to Multi-Gig Ethernet controllers with new docking stations and adapters based on those devices. Wi-Fi access points from Cisco, Aruba, Netgear and others. Gaming motherboards featuring 10G Ethernet from ASRock and more. AQtion Network Interface Cards for power users in SoHo and enterprise. Carrier gateways targeting Multi-Gig to the home. Multi-gigabit has been promised for years. 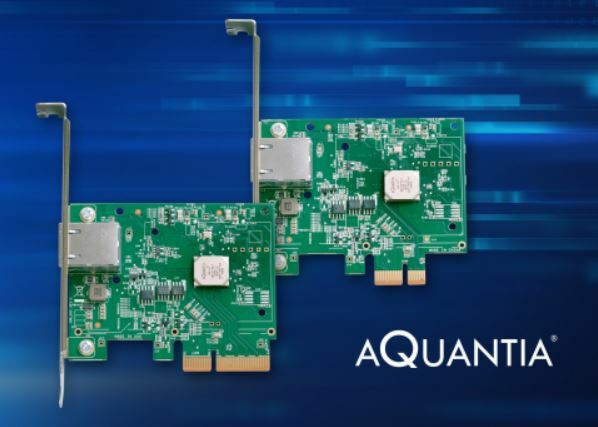 Aquantia’s NIC is one of the key industry drivers that allow companies to bring that promise to fruition as we have seen in products like the QNAP TS-963X. 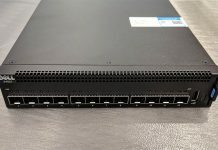 Miha, there isn’t much competition in the 2.5/5Gbit market directly, but 10Gbit is getting more affordable with the likes of Mikrotik and Ubiquiti (switch side), which will force the vendors of 2.5/5Gbit NICs and switches to lower their prices. Intel has 10GbE NICs that will do 2.5GbE and 5GbE.